Beijing 101 Herbal Hair Dye Day! Been a red head for quite some time and I am loving this change! 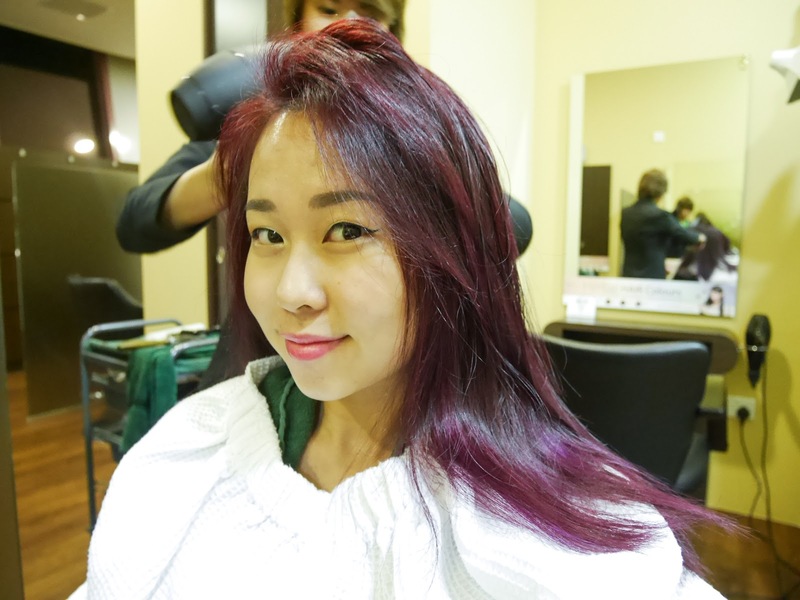 I recently got a fresh new coat of hair colour and you won't believe where I got my latest hair colour done. I did it at Beijing 101, amazing and unexpected right? 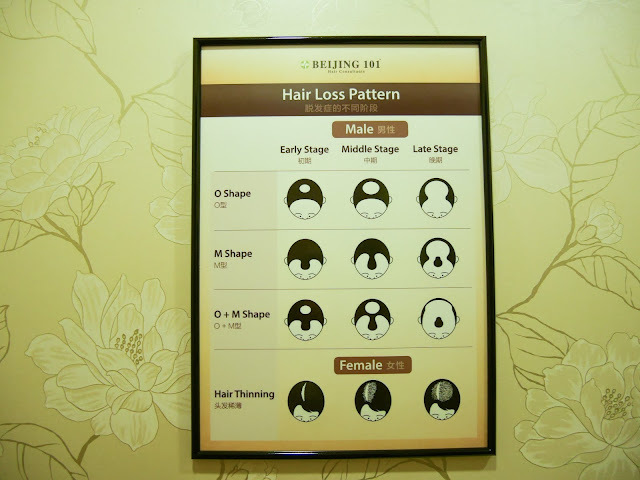 You may think that Beijing 101 is all about treating hair scalp problems and resolving hair loss issues. 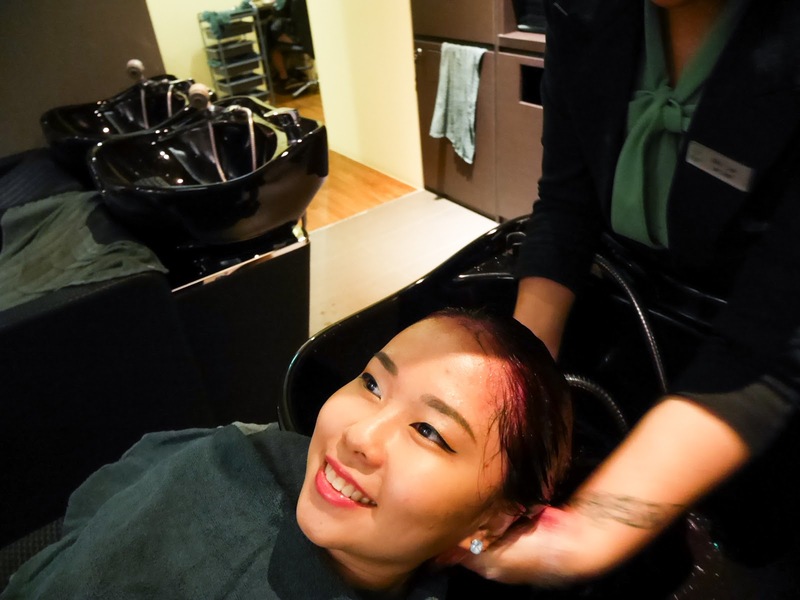 Truth is, they also have this additional service - Herbal hair colouring. 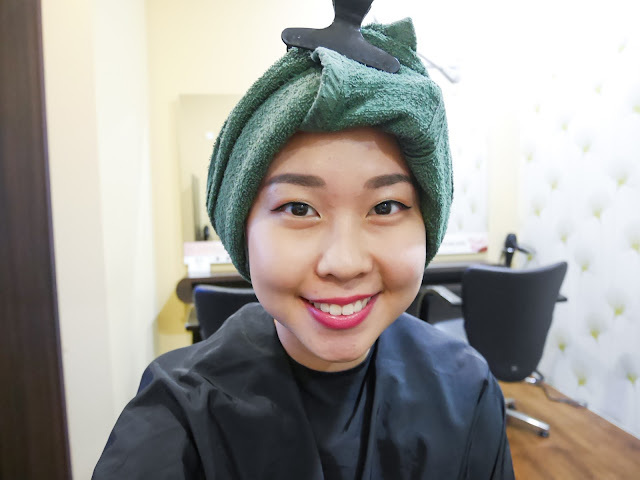 Many people out there require help for their greying hair, while some would like to have hair colouring but their hair scalp might not be suitable to undergo harsh chemical treatments. This is where Beijing 101 hair colour comes in. 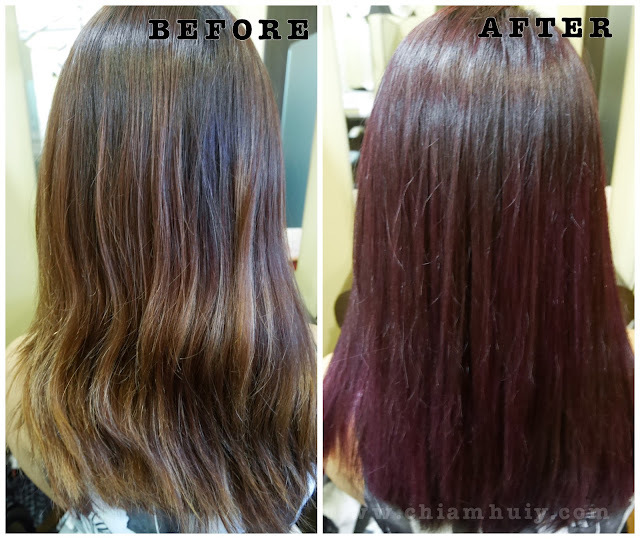 Beijing 101 Herbal hair colouring uses organic ingredients and herbs in their hair dye for colouring. This is so to reduce and minimise the damage done to the hair scalp. Imagine when your hair scalp is already very weak and they're showing symptoms like hair fall, clearly you would not want to trigger or aggravate it more with chemical treatment isn't it? 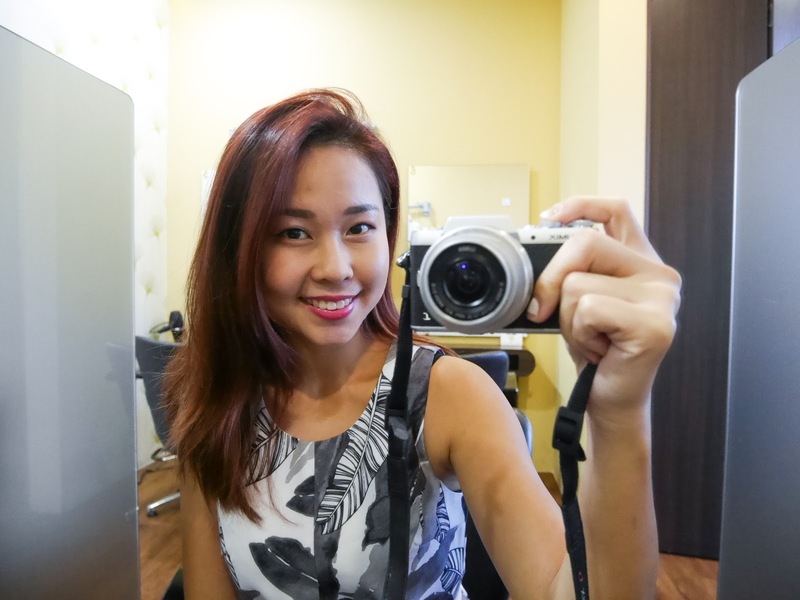 But then again, you longed to dye your hair!! This is the best solution. 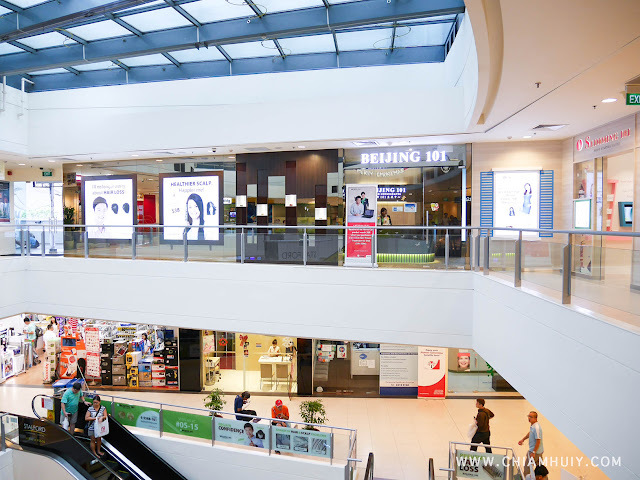 I returned to Beijing 101 at Hougang Mall outlet (#05-15) for my treatment again. So this was my hair before the hair colouring. My red colour has faded quite a bit because my hair is pretty damaged due to two times bleaches. 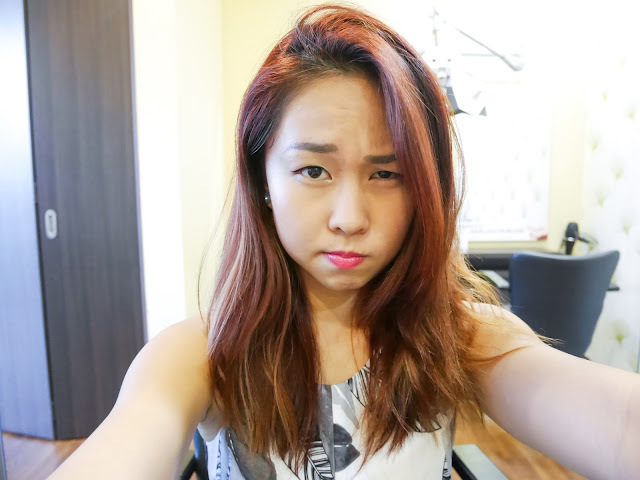 My hair ends are especially weaker and lighter in general. 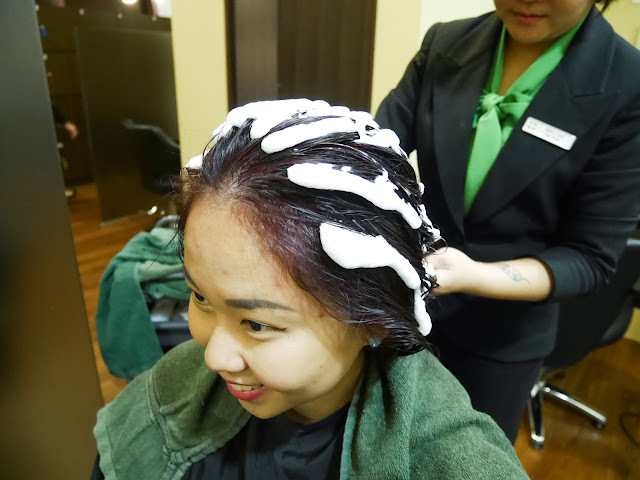 We began the hair colouring immediately after I chose my desired colour. It took about 20 mins for the therapist to apply the hair dye on my hair, with another 20-30mins of wait for the hair to absorb the colour. Plastic wrap were placed to let my body heat hasten the dyeing process. I waited for about 30 mins so I just used my phone, update dayre a little and kill time. "Can't wait for the results!!" 30 mins up, it's time to wash off the hair dye. I don't know about you, but head and scalp massage is what I always look towards and enjoy when I have my hair washed in a salon. It feels sooo good don't you think? My hair consultant Miki also did a fantastic job in washing my hair and giving my a head massage. 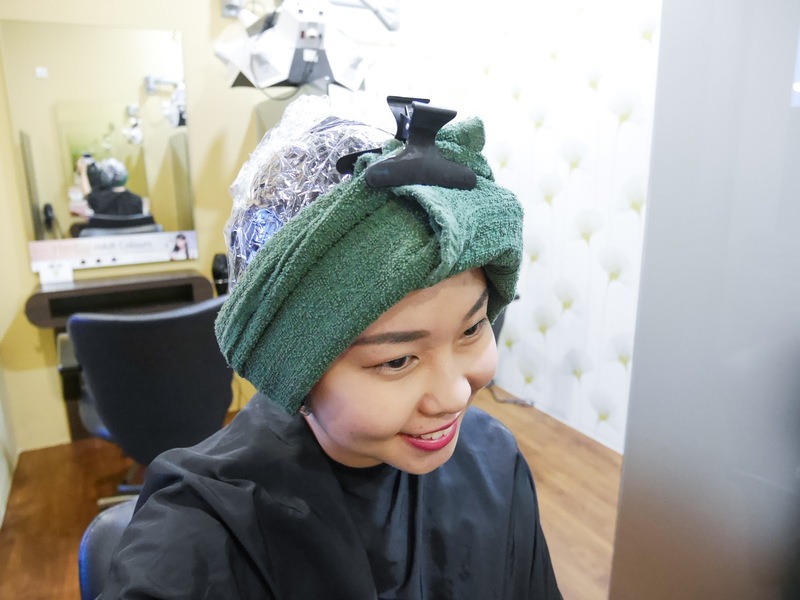 The difference between washing your hair in a typical salon and here at Beijing 101 is that all of the hair consultants here have been trained and are specialised in providing their signature scalp and head massage. 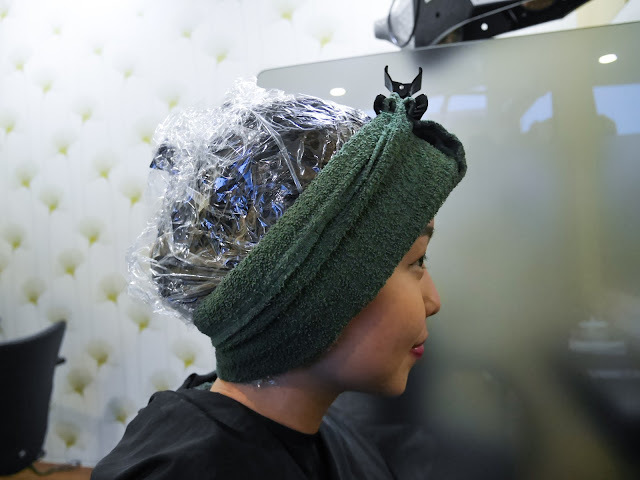 The benefits of this massage is that it provides good blood circulation and releases tension to ease the stiffness of individual scalp condition. Also, the massages are able to stimulate the acupuncture points to promote hair growth too. 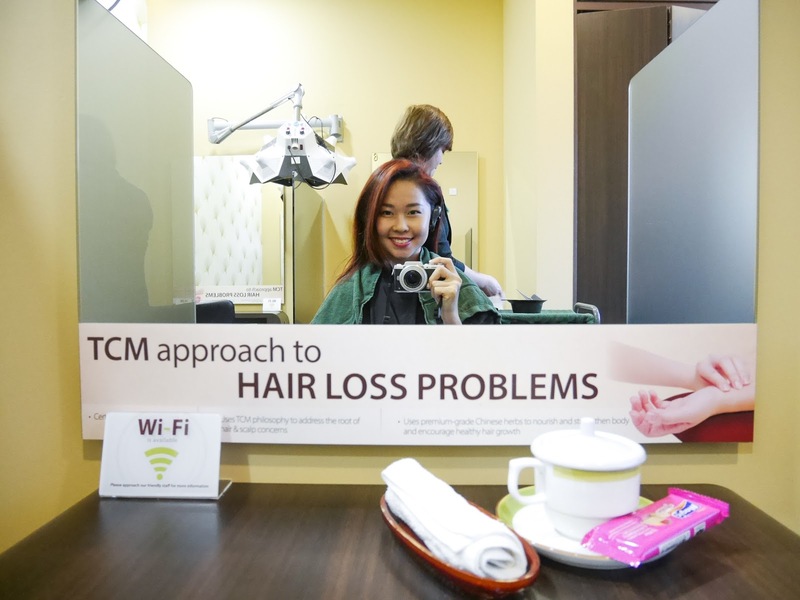 Previously on my review on Beijing 101's hair scalp treatment, I also undergone this treatment. My therapist applied the Cell Regeneration Mask on my scalp that contains Black clay which is a nontoxic mineral rich in strontium, silica, iron, magnesium and calcium, all are excellent scalp cleansers, cell regenerator and hair darkener. This Black Clay absorbs harmful toxins and dirt from the scalp without striping away the natural oils, and at the same time nourishing the scalp, energised the cell activity hence promoting hair regrowth. 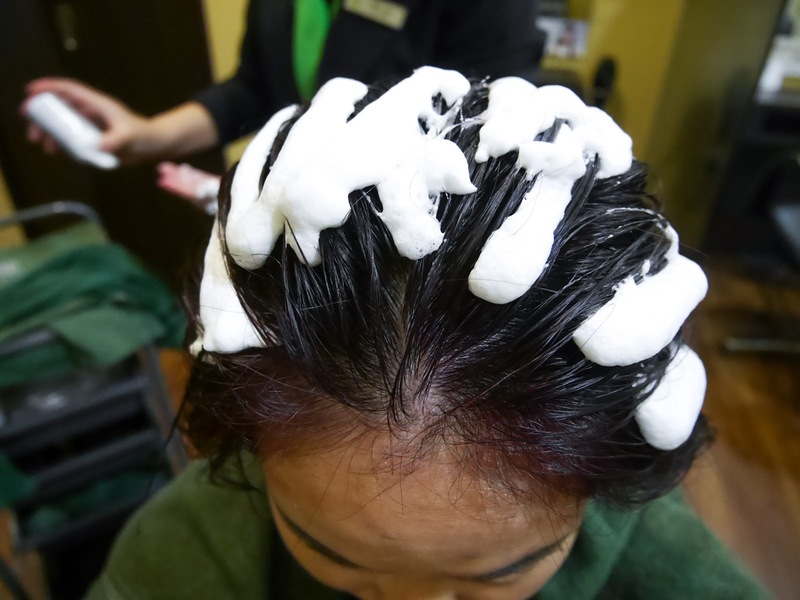 , This treatment is more commonly used to treat oily scalp. After the treatment, the unclogged pores are also strengthened and can now breathe in more oxygen. This mask also contains activated charcoal, also named “black gold”. It is a powerful drawing, purifying and anti-microbial ingredient. It has an exceptional ability to draw toxins and chemicals from the scalp. There's a cold sensation when the Cell Regeneration Mask was applied onto my scalp. 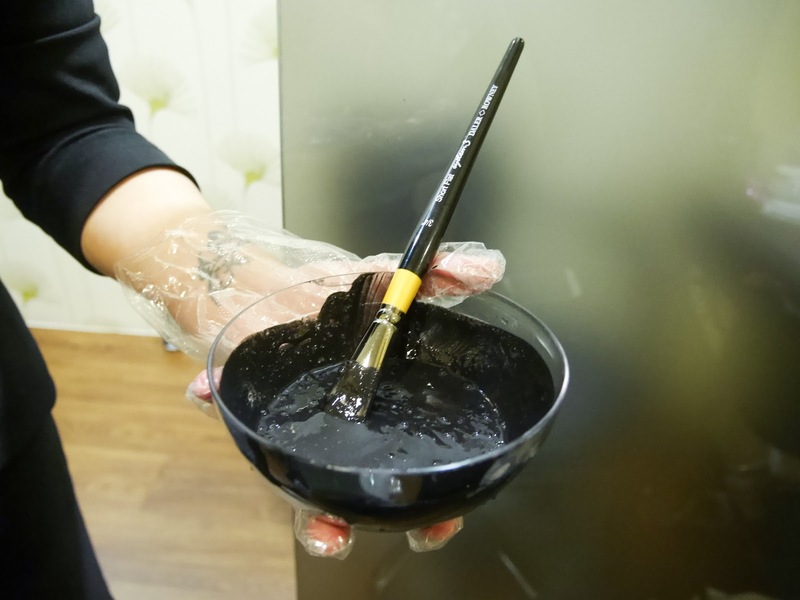 The treatment mask was only applied to the scalp by the way, as it's tackling scalp issues and not the hair strands. 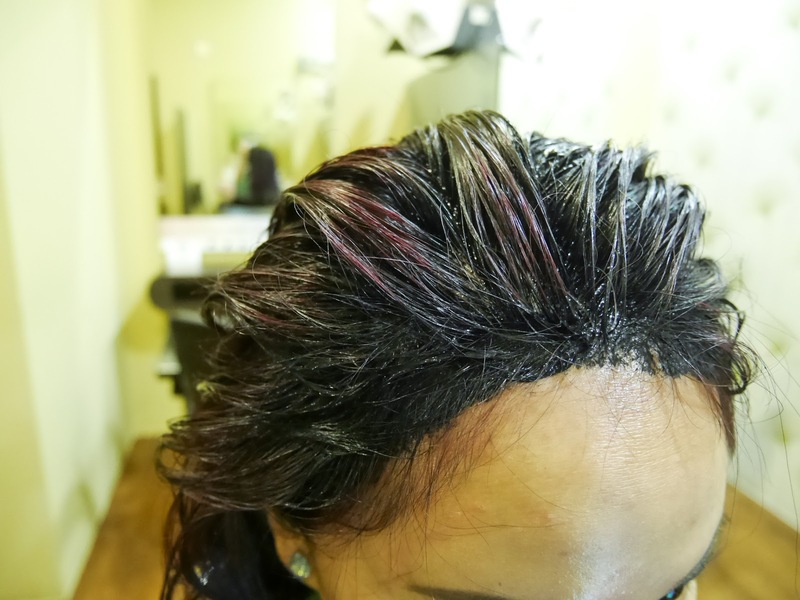 As much as it looks very black here, it doesn't leave any dark stain on your scalp. This treatment is useful to treat Oily scalp, Slow hair growth, Hair loss, Dandruff and Greying hair. Hair collagen treatment - Scalp Strengthening Therapy. 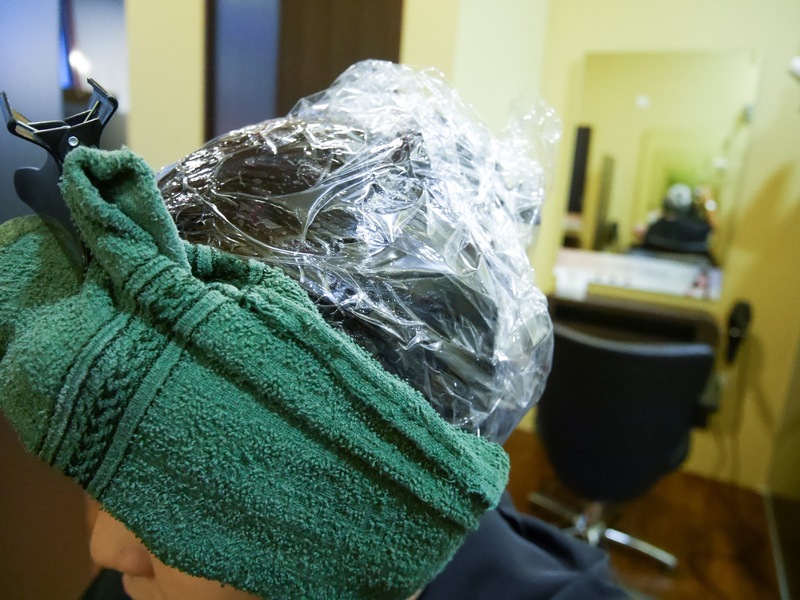 After washing off the hair scalp mask, my therapist moved on to the Scalp Strengthening Therapy, which helps to restore the nutrition to the hair and scalp quickly. 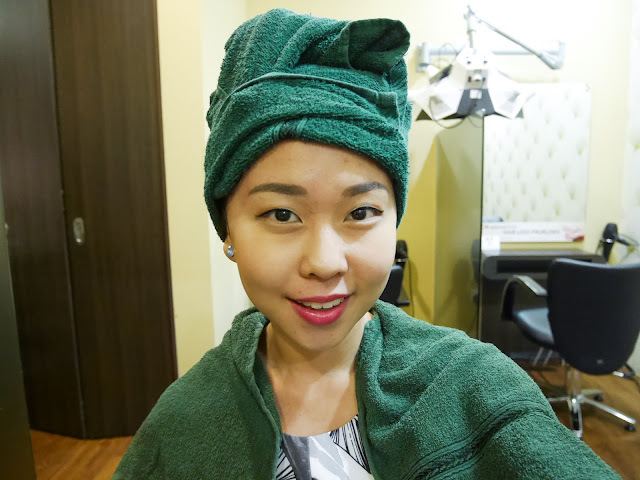 With this treatment, it boosts the scalp immune system and provide anti-aging effect with the collagen content. Besides this, the natural ingredients will help prolong the Anagen stage and regenerate the hair structure with a long lasting care effect. Regular use will strengthen the scalp and hair, make the hair excellent manageable. 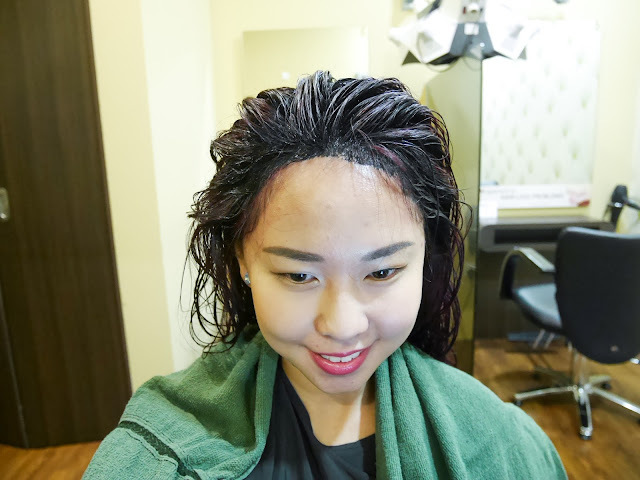 For this hair collagen treatment, the collagen mask was massaged into my scalp to increase absorbency efficiency. I guess you can tell the results is fantastic! I would never have expected the results to come out this good since the skeptical me would have thought that organic dye might not turn out well or the colour won't be as great as those resulted from chemical treatment. Guess this really gave me a pleasant surprise. To get the hair colour I desire without having to go through harmful chemical treatments to my hair and scalp is really like having the best of both worlds. 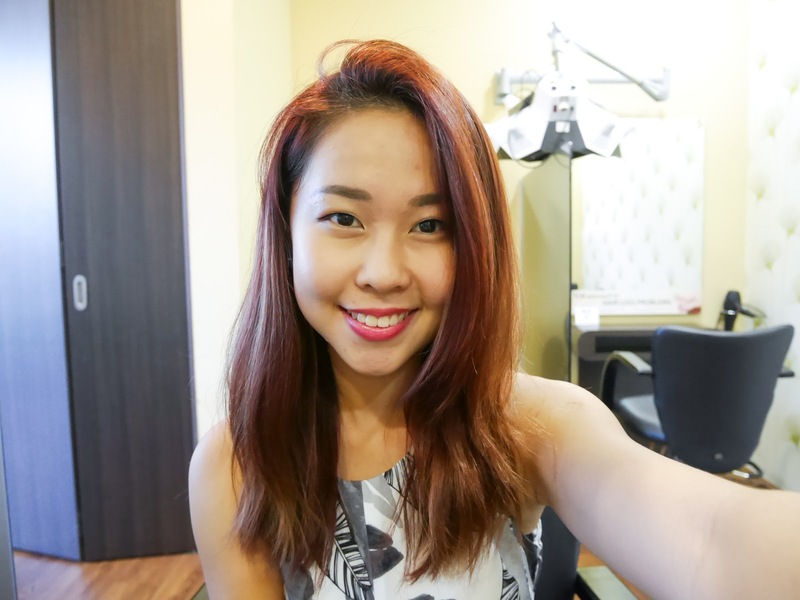 "Fresh new coat of hair colour without having to go through chemical treatment!" I may have mentioned this at the start of this post but I thought I'll just bring across the message again. 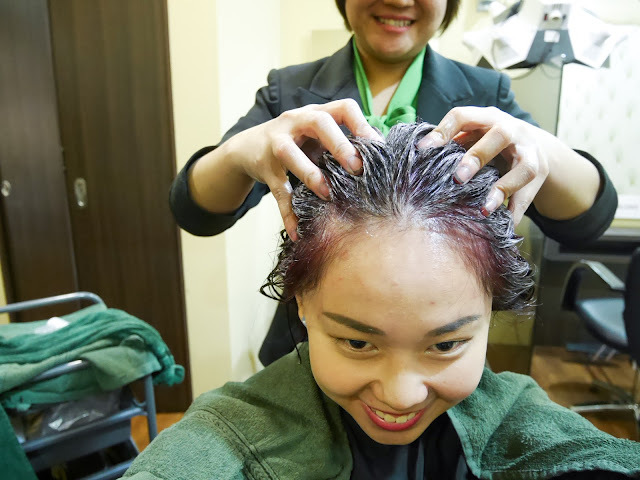 For people with graying hair, hair scalp issues or complications, it's always not recommended to let your scalp undergo more harm and damages such as hair dyeing, which often involves harmful chemicals like amino. 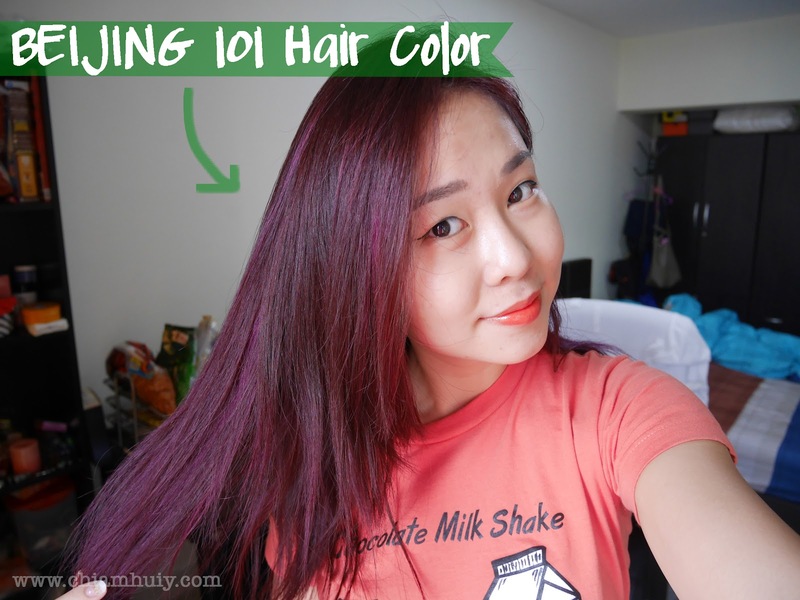 Hence Beijing 101 organic herbal hair dye it the best for those who needs to cover graying hair, or simply would like to freshen up their looks by giving their hair a new coat of colour. Pretty amazing results I must say! Thank you Beijing101! Here's another great news to share! Beijing 101 has a new outlet opening at Tiong Bahru Plaza! Check out on Beijing 101 Facebook for the updates on the opening. Here's to greater convenience to those living in the west! 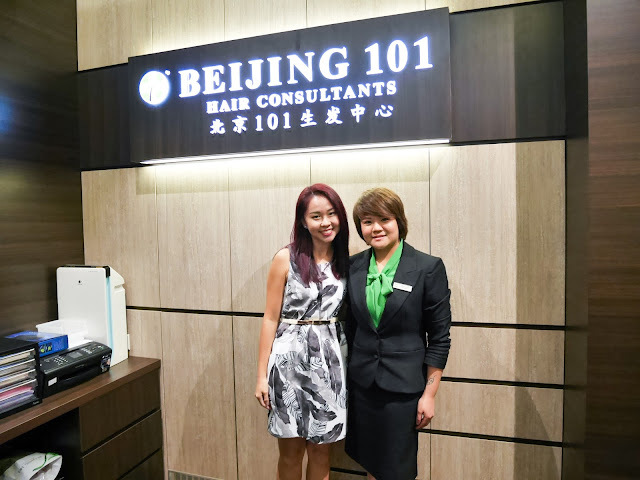 Here's a little pleasant treat for all readers who are keen to try on beijing101 treatment! 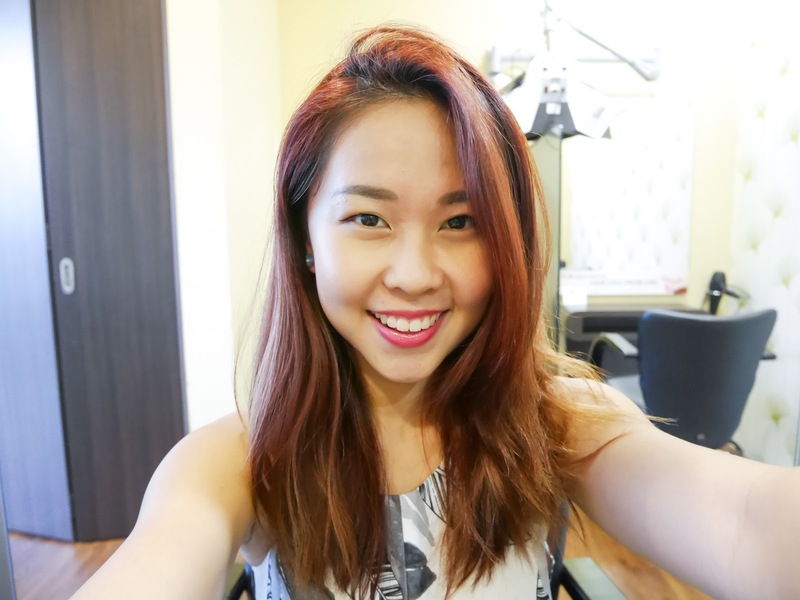 Call 6-5588-101 and quote "Celine Chiam" to enjoy Beijing 101 Revitalising Scalp Therapy at only $40 (w/ GST!) This treatment is worth $298 it even comes with a free Vitalizing Gliss worth $68.